A Google Partner badge in the online world is like a police badge in the offline one. In order to possess it, you need to have earned it. And we have earned ours. Actually it took a lot of hard work, but it was worth the effort: Autoxloo is a badged Google Partner. Now enough with the boasting already. Let’s find out how your dealership will benefit from hiring a marketing agency that is a certified Google Partner. 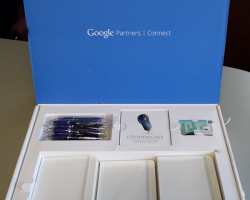 Why would you want to hire a Google Partner to manage your Ads campaigns? Google Partners follow Google’s best practices. They’ve passed a comprehensive advertising exam and have employees certified in Google Ads. They’ve managed a significant amount of Google Ads investment. A Google Partner badge is awarded only to companies with Google Ads skills and expertise. The most important reason: they’ve proven their ability to really thrive and help businesses like yours succeed online, time and time again. Will your dealership benefit from working with a company that is a Google Partner and an automotive SEO agency at the same time? 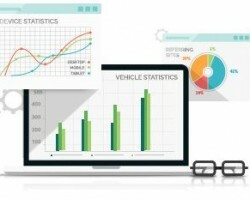 SEO for car dealer websites is one of Autoxloo’s main specializations. We build dealer websites, make them responsive and high-converting, optimize them for demanding shoppers and search engines, and provide dealers with a full scope of products and services that will increase their revenue. We understand that online marketing may be uncharted territory for you. You would rather focus on your offline sales, inventory restocking, and building relationships with your local customers. That’s okay, because we are here to take care of the online part of your business. 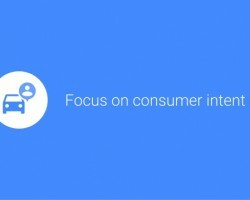 What types of advertising do we specialize in as Google Partners? Search advertising or contextual ads is a type of advertising available in a text format. When automotive shoppers show their interest in your vehicles or services, these ads will appear according to their queries. We will set up ad campaigns in Google Search, make a list of relevant keywords and allocate your budget properly. Your automotive inventory ads will be displayed at the top of Google SERPs and can be retargeted as well. Display advertising will help you to reach auto shoppers at the beginning of their search and drive them to your Vehicle Details Pages. Mobile advertising. More than 50% of all searches for a vehicle’s pictures occur on mobile devices. Take advantage of this growing opportunity with mobile advertising for your dealership. Textual, graphical and video ads will attract more customers to your dealer lot. Google Analytics IQ. If you are wondering, IQ stands for Individual Qualification and indicates that we are well-versed and knowledgeable in digital analytics best practices and the Google Analytics platform. Mobile Sites are now becoming more important than desktop versions. We know how to create, manage, optimize and measure them. Would you like to have one? Digital Sales. At Autoxloo we know for a fact that you can sell many vehicles online. All it takes is one properly optimized online showroom, a bit of marketing, SEO, and analytics. Our employees regularly take advertising training, sales training and undergo proper certification. We have ample support from Google’s managers. We get access to free training sessions, which means we stay up to date with the latest strategies in Google Ads. Autoxloo has been a badged Google Partner since November 2016. During this time, we have helped many dealerships to build a solid online presence, improve their conversions and inventory turnover, reach more customers across different platforms, and increase their ROI. Contact us today to discuss how our expertise can help your business to grow. 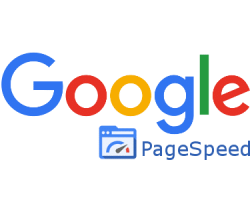 Page Speed Insights Update: Is Your Provider Aware?